“It doesn’t matter where you’ve been or what you’ve been through – You can always have a fresh start.” – Allison T. Butler, winner of the Inspiration Award. More than 300 guests attended our 20th Anniversary Luncheon on Oct. 14 at The Waterfall in Claymont. The room was bursting with scholars, mentors, board members, sponsors and supporters. 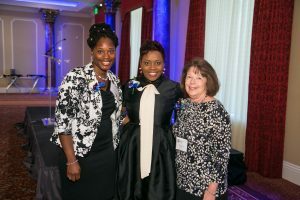 The honorary chairs were Maria Hess from Wilmington University and Fred Dawson from Bassett, Dawson and Foy, Inc.
At the event, three Delaware women were honored for their accomplishments. 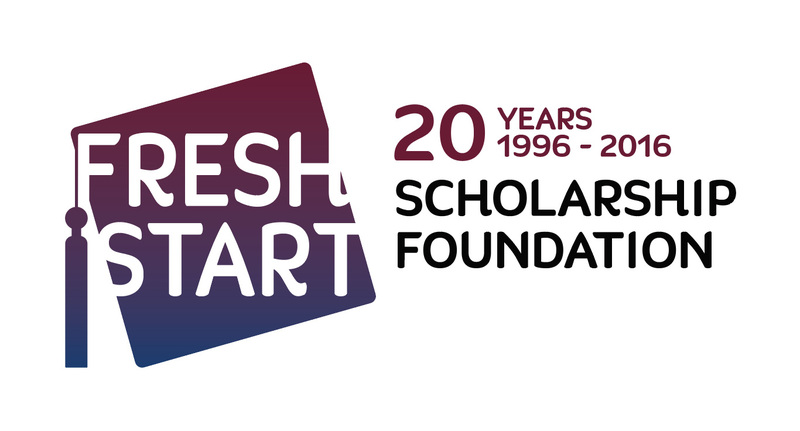 Barbara Buckley won the Muriel E. Gilman Champion Award for her tireless efforts, shaping and leading Fresh Start’s scholarship and mentoring program. She ensures that scholars leave with a renewed sense of purpose, as well as an education. Bonita Penn won the Achievement Award for going to college as a working single mother, ultimately earning her Bachelors in Nursing and Psychology with the help of Fresh Start. Now, she has her Masters in Nursing, a full-time nursing position and serves on the Fresh Start Board of Directors. Allison T. Butler won the Inspiration Award for purposively turning her life around after a challenging childhood and young adulthood, which included abuse and incarceration. Now an entrepreneur, author and speaker, she inspires others to live their fullest lives. Congrats to all of the award winners, and thank you to our sponsors and guests!